The heart of the Gayborhood, at 12th and Manning streets. A Pennsylvania lawmaker wants to ban the use of the "gay and trans panic" defenses in state homicide cases. State Sen. Larry Farnese, D-Philadelphia, wrote in a memo Tuesday that he plans on introducing legislation to prohibit the use of the defense, which attempts to get alleged killers a lesser sentence or even acquittal because of the victim's perceived or actual sexual orientation or gender identity. 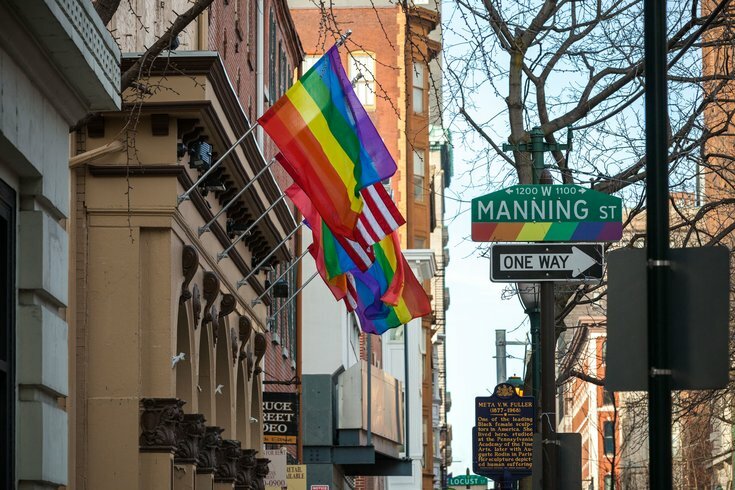 According to a 2016 report from the Williams Institute, a UCLA School of Law center dedicated to sexual orientation and gender identity law, the "gay and trans panic" defense has been used since the 1960s in half of the states, including Pennsylvania. As noted in the Williams Institute report, LGBTQ people have "historically faced and continue to suffer disproportionately high rates of violence." California, Rhode Island and Illinois have all already banned use of the defense, while legislation is pending in other states, including New Jersey. U.S. Sen. Edward Markey and U.S. Rep. Joe Kennedy, both Massachusetts Democrats, have recently introduced bills to ban the defense on the federal level. Farnese noted that state Rep. Michael Schlossberg, D-Lehigh, introduced legislation in 2015 that would have banned the defense in criminal homicide cases, clarifying that the "serious provocation" needed to reduce a homicide charge to manslaughter does not include the discovery of someone's sexual orientation or gender identity. That bill never made it out of committee.